This is part two in this particular series and I'm pretty excited to share this recipe with you all! 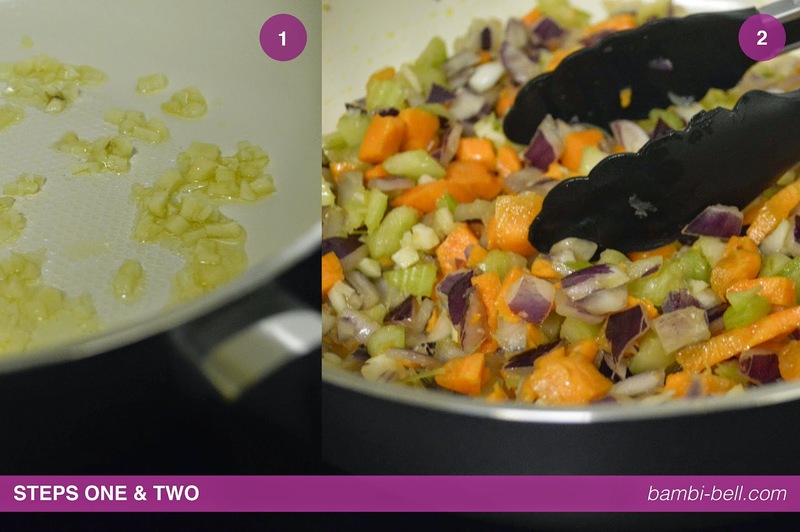 I've tweaked it a little since I last cooked it, I think the most important thing to remember is that although you can follow my recipe I always recommend that you alter it to fit your own taste buds, as small changes to any recipe can make it perfect for yourself. This is my own recipe and I've found it to be super tasty and I'll definitely be making it again sometime soon. So lets get to it! 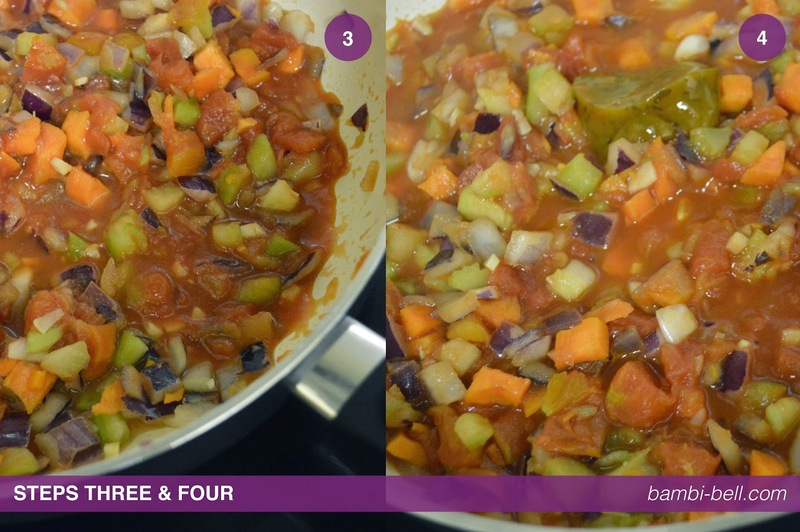 My recipe will make around 3-6 portions depending on how large a portion you make. According to my pasta it should be 3 portions but I don't think I could ever eat that much! I make a lot as I keep it in the fridge and have it for lunch or dinner over the next few days, as it means I'll eat a good meal with little effort! 250g Pasta of choice (I tend to just use whatever type of pasta I have in the cupboard! 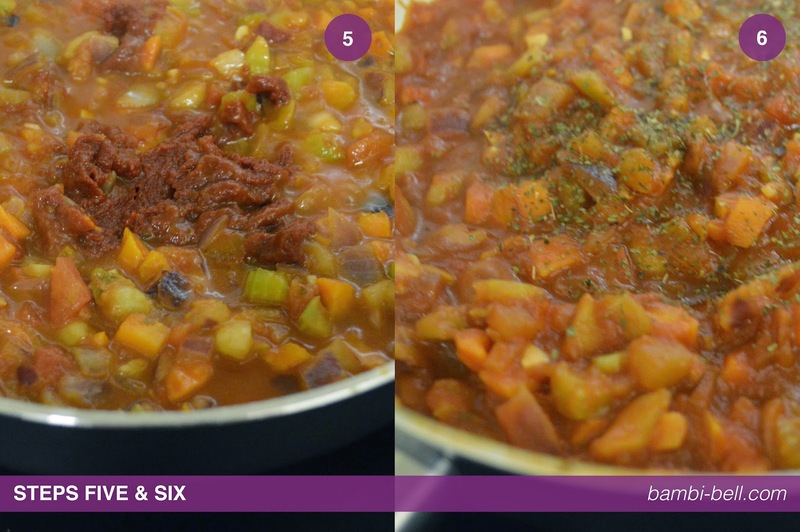 Step Four: Add the vegetable stock cube and leave it to fully dissolve and mix around until all combined. 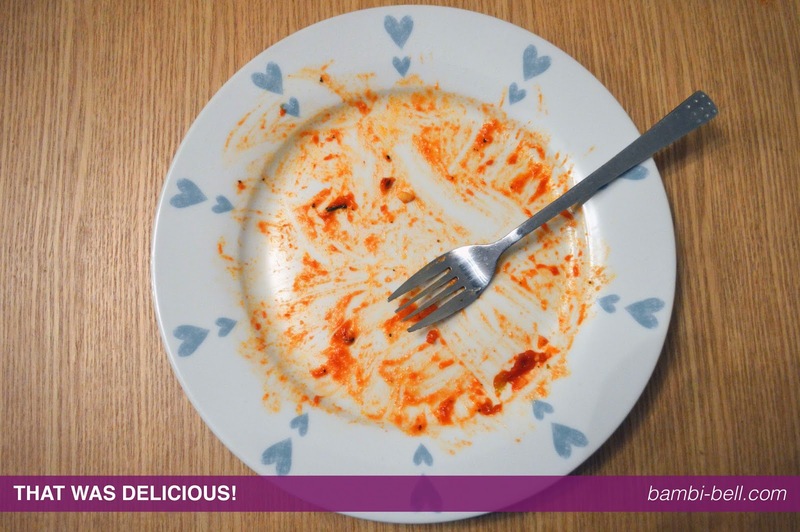 Step Eight: I bet you thought I had forgotten about the pasta! 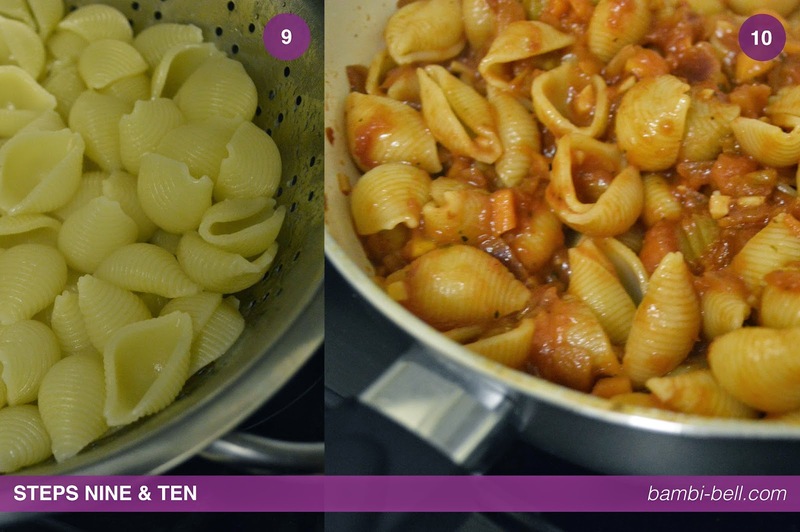 Follow the instructions on your choice of pasta, it's usually around 10-15mins for it to be cooked, and don't forget to keep stirring the sauce! It's also a good time to chop up the fresh basil and get your plates and cutlery ready. 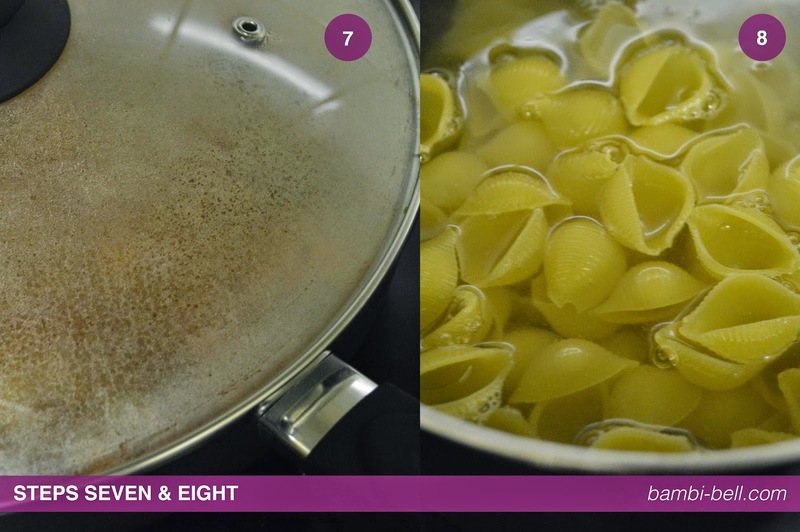 Step Nine & Ten: Once your pasta is cooked to perfection, drain all of the water away and add to your sauce. Mix it in well, take your time to make sure the pasta is fully immersed in the sauce especially if like me you plan on saving the rest as you don't want to end up with little pasta or hardly any sauce! 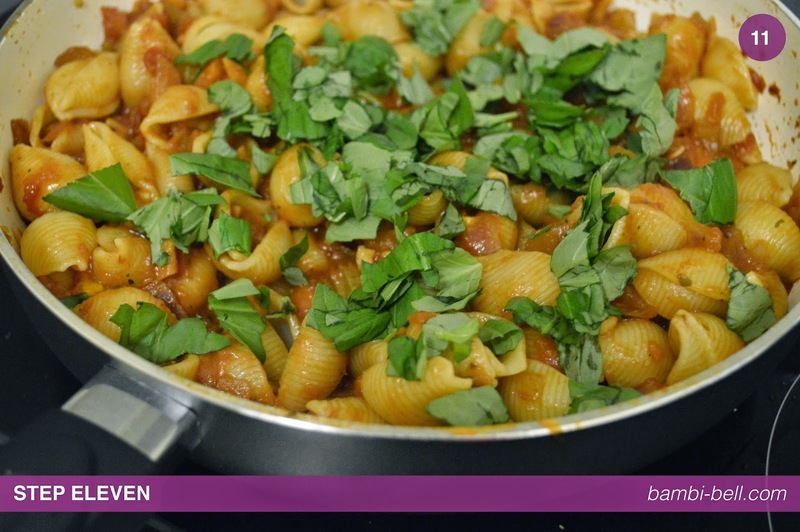 Step Eleven: Nice and easy, just add your fresh basil to your pasta and mix it all together and you are ready to serve up your delicious dinner! 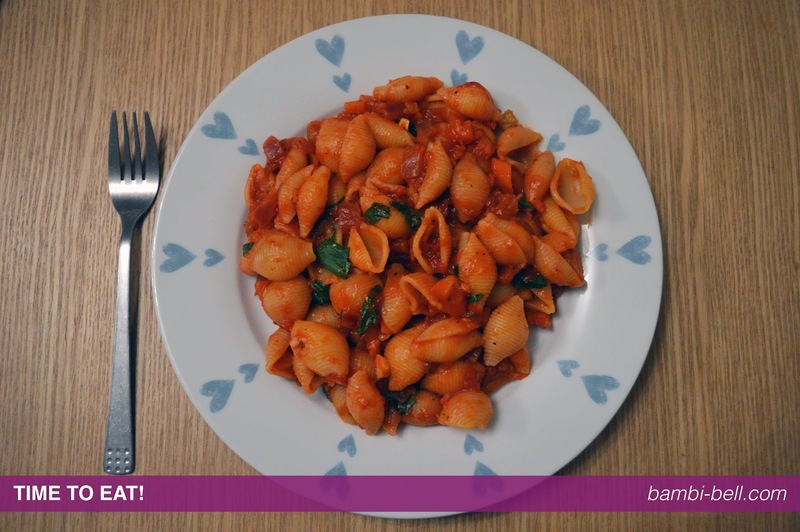 I really hope you enjoyed my recipe for this vegetarian pasta, please let me know if you try it yourself and what you think. Of course drop me any feedback or if you would like to see any particular recipes from me in the future. I'm definitely going to try putting up more recipes on here seeing as I have my love of cooking back I cannot wait to share it all with you!